Home > Special Articles > Investment Advisers Regulations, 2013: Offered investors a chance to get an unbiased adviser..! Investment Advisers Regulations, 2013: Offered investors a chance to get an unbiased adviser..! by Mr. Suresh Sadagopan, Ladder7 Financial Advisories. Investment Advisers Regulations, 2013 offered investors a chance to get an unbiased adviser. This regulation was path-breaking as it brought in a class of fee-only Registered Investment Advisers (RIAs), who took on fiduciary responsibilities. They were to be governed by much higher standards of certification. Also, the documentation, processes, compliance and reporting were to be at a much higher level than the existing standards. RIAs were to avoid conflicts of interest and maintain an arm’s length distance between advisory and distribution functions. They also had to be audited annually. In a nutshell, they were to be a different class of advisers, whom an investor could trust. When this regulation came out, there was consternation that Indian consumers were not ready to pay fees. That is true to a great extent. But when I had interacted with planners from the US some years ago, they confirmed that American clients, too, were chary when it came to paying fees. Globally, consumers are more accepting of indirect, built-in charges rather than direct fees. However, there are fee-only planners in the US who charge on an engagement or project basis, on an hourly basis in the form of lump sum fees or a percentage of assets under advice (AUA); and their tribe is growing. In India too, RIAs have been able to charge fees, though many find it difficult to do so. RIAs have a long way to go from here and advisory practice will evolve to become mainstream. However, consumers are not aware of the regulation about RIAs and the merits of good advice. Many also do not know about Certified Financial Planners (CFPs), who are often confused with chartered accountants or chartered financial analysts. Most are, in fact, not aware of financial planning as a concept itself. A recent survey put the awareness among the public on financial planning at 0.04%. And many of those who know it, have wrong notions about it. Consumers are not able to distinguish between advisers and product sellers who pose as advisers. There are multitudes who have not registered as RIAs, but brazenly offer advisory services. Many openly ply their trade with their websites, freely soliciting clients for financial advice. This will affect consumers in the long term as they would get negatively impacted by self-serving ‘advice’. The regulator is yet to restrain those only posing as advisers. A class of plans in mutual funds (MFs), called direct plans, would be useful if the customer takes advice from an RIA and then goes on to source products. Direct plans have been there in the past, but were cumbersome for clients as they had to do the investments themselves, didn’t get advice and there was no proper reporting mechanism. That changed in the beginning of this year with MF Utility-enabled direct plan transactions. Also, the Securities and Exchange Board of India (SEBI) brought in a customer-friendly move because of which direct plan feeds of clients who get advice from RIAs, can be shared with them. However, the joy was short lived. Even though 7 months have passed since it was mandated that RIA code be captured on mutual fund application and transaction forms, this is not happening for customers who have advisers. This has resulted in RIA data not being captured anywhere, which means that client feeds are not reaching the advisers. MF Utility captures RIA codes but has not been able to transmit that information to registrar and transfer agents (R&T agents). This has left both the client and the RIA stranded. We all know that direct plans are best from a client’s point of view, as there is no conflict of interest. As fiduciaries, it is best for RIAs to advise on direct plans, exchange-traded funds (ETFs) and other low-cost products. But due to various problems mentioned above, direct plans have been a non-starter for RIAs. SEBI has been championing the cause of investors and rightly so. RIAs have shown courage in embracing what is admittedly a tough regulation and are willing to go the whole hog with direct plans, which is in line with the fee-only advisory that Sebi is pushing for. The regulator SEBI should smoothen the way so that RIAs are able to function without being stymied at every turn. Regulation is for RIAs to offer advise and for distributors to implement. This is like the doctor–chemist model, where the chemist cannot dispense medicines without a prescription. Second is to ensure that those who are not registered do not pose as advisers. This does a lot of damage for consumers at large and also dilutes the sanctity of the Regulation. Third is to necessarily have separate entities for advisory and distribution, and not allow data to be shared between them (unless they take explicit permission from the client). In many cases, the Chinese walls are too porous for comfort. Lastly, SEBI could push the embedded costs lower across products to make them attractive to customers at large. In the past, stock brokers had found a way to work with low brokerages, and still thrive. Other intermediaries can also find their way. Some countries like the UK, the Netherlands and Australia have even eliminated commissions across the board. Advice and service is paid for directly by clients to providers the way one pays doctors, lawyers or / architects. This may be a tough model to implement here, at least at the start, but it can be made to work. Some people claim that in such situations, small customers will be marginalised. Every situation offers a business opportunity to someone. New models will emerge to service small customers as well with minimal intervention. One such model is already there - robo advisors. It’s three-and-a-half years since this regulation was introduced. It’s time that it yielded some results. 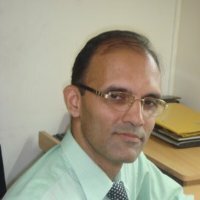 Mr. Suresh Sadagopan is the founder of Ladder7 Financial Advisories.